What's Your SpongeBob SquarePants Running Style? What’s Your SpongeBob SquarePants Running Style? When kids arrive at the start line on 6 August, at the SpongeBob Run Singapore at 4 p.m., they’ll participate in a first: never before has Singapore hosted a SpongeBob Run, so you can expect plenty of excitement at Siloso Beach Walk in Sentosa on that day. Children who are enraptured by Bob and his aquatic buddies will feel like they’re part of his life as they race through the underwater city of Bikini Bottom on the way to his pineapple house. The combined 5km fun run/800m kids dash isn’t to be missed, so if you want to get into the spirit of this race, decide which SpongeBob character best resembles you. If the urge to show up dressed like that character is too strong to resist, we can't wait to see you there! If you believe you resemble this animated sponge, you’re probably the spontaneous, irreverent type who's a bit unorthodox when it comes to running your race. Not one to do the best job of training properly — and a big fan of the food served at the Krusty Krab fast food restaurant — you may you have trouble staying on a healthy diet, but make up for it by cross training in the martial arts, so your resemblance to Bob could foreshadow your performance at the upcoming SpongeBob Run. You don’t live under a rock but you do have a physiology issue that could hamper your ability to get to the finish line fast (no feet! ), but your legendary temper could be the factor that helps you perform at this fun run. Watch out for kids who need help along the way! Your good nature and willingness to help others could be the factor that keeps you from anything close to a personal best on race day. You’ll need your sarcastic sense of humor if you intend to put all of your tentacles to good use in your desire to place anywhere at the SpongeBob Run Singapore finish line. No worries, your deep-sea-ted desire to make sure neither Bob nor Patrick make it to the finish line before you do could be the dynamic that propels you forward. Get a good night’s sleep before the race because you do have a tendency to take a nap at the most inopportune times! Girls just want to have fun, and if you most resemble Sandy Cheeks, the female with both an attitude and a long list of sports accomplishments, getting to the finish line first won’t be a problem because you have both brains and brawn. Since you already live on land, your lungs are ready for this event, so leave the diving suit you usually wear for undersea visits at home because your favourite running shorts and shoes are all you’ll need to beat the guys. You may identify closely with Mr. Krabs, owner of the Krusty Krab eatery, if you’re a land-based entrepreneur and business pro who’s all about your career. But you’ll have to divert your attention from making money and toward getting in enough training time to make a decent appearance at this lively Singapore event. As a war veteran, Mr. Krabs knows a thing about how to train, so follow his lead and recall your national service days to get an edge on the competition. You may not want to admit that you identify with SpongeBob’s pet sea snail, but truly, there’s nothing to be ashamed of. If you know the parable about the Tortoise and the Hare, you are aware of the fact that winners often keep a slower pace so they’ve got energy to finish strong. You’re a proven problem solver, so look at this race as your chance to shine and prove that speed isn’t always the secret to success! As a SpongeBob character who’s already familiar with the dynamics of competition, this will give you a rare opportunity to translate that characteristic into a plus. Channel all of your efforts into beating out Krusty Krab and anyone else in your way! As the owner of the Chum Bucket, Krusty Krab’s biggest business rival, you’ll need your cunning and focus, so you don’t let your ego get in the way. 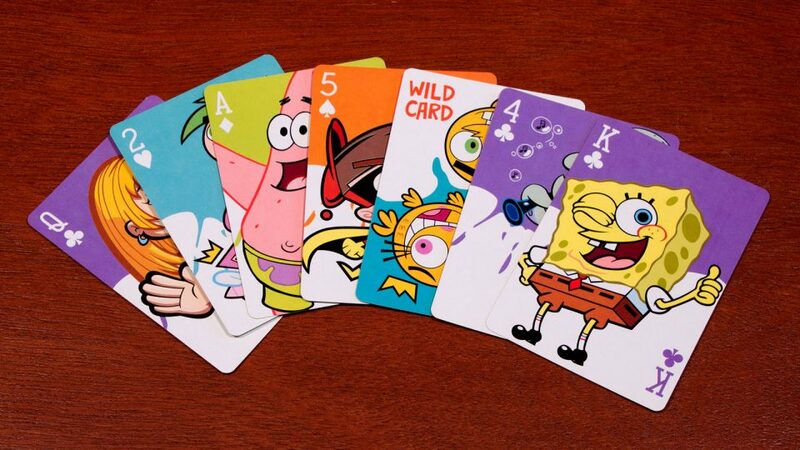 By the way, you can’t make up your own rules at the SpongeBob Run, so don’t even think about trying. You probably relate to Pearl Krabs most of all if you’re a teenage girl eager to prove your mettle at this Singapore running event. You’ll have to overcome stereotypes like Pearl; after all, her mom is a whale, and while Pearl is influenced by her Krabby restaurateur father, if you’ve got a bit of weight going against you, you can overcome it by training properly and making healthy food choices. Also read: Should You Run Every Day? Which character will you be at the SpongeBob Run Singapore? There are so many more fun characters populating the SpongeBob SquarePants underworld that we wish we could keep going. But feel free to pick the one you adore most as your inspiration on the day you show up at Sentosa, ready to channel the undersea creature that, in your eyes, most resembles your own style and character. Meanwhile, if you're eager to see what one talented Asian artist came up with with when he decided to imagine what the show’s main characters would look if they were human beings rather than cartoons, we urge you to visit here, and prepare to be amazed. What makes the characters in the SpongeBob SquarePants cast so universally popular? Do you think it has anything to do with the fact that these marine critters remind us of ourselves? LAST CHANCE TO GET $5 OFFFree Exclusive SpongeBob Event Plush Toy!